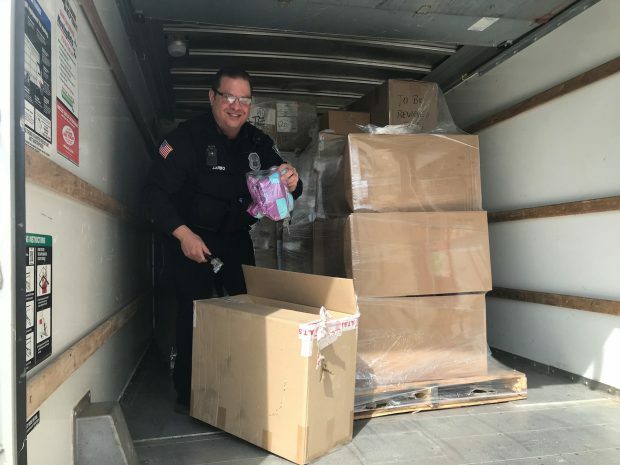 Bridgedale Outdoor has donated 3,000 socks to the Niagara Frontier Transit Police Department. The socks will be distributed via the Matt Urban Hope Center, a non-profit organization that provides housing and programs to those in need in Western New York. The Center also has a hub location in the NFTA bus terminal in downtown Buffalo. In 2017, Officer Zarbo took it upon himself to do something that would enhance their lives by starting a sock and glove drive. The drive included various community partners and was a great success. But the need for donated socks never ends so he is continuing the program with partners such as Bridgedale. Officer Dave Zarbo helping sock it to the cold feet of people in need.